Developer Nick Tompkins wants permission to build a shopping center at the corner of Grand and Courtland that will include a 51,000 square-foot Food 4 Less. Council members ended up sending the revised plans back to the Planning Commission. Many residents are concerned about the size of the Food 4 Less store in a neighborhood where there are three other grocery stores already. There is no indication when the Planning Commission will revisit the project, which they most recently rejected on a 5-0 vote. Mayor Tony Ferrara, who is opposed to the project, has had to recuse himself because he lives so close to the proposed shopping center. As a matter of choice, if I was only to pick one market between Food for less, Trader Joes, Spencer’s Market, or Scolares. My first choice is Spencers, the prices and quality are good but the Deli is the absolute top best. I don’t shop as often at Spencer becausee of logistics unless my appetite supercedes (Their Deli is the best – try their fried chicken!). “As a matter of choice”, i think is the main issue. You get to choose Spencers. I get to choose Scolaries, which is absolutely the best one in the area in my opinion. Im concerned about our population that could use a discount market. I worry that the winner was the pocket book of Spencers,and that the less fortunate of the communty are the losers. They should have a local choice too. What do you buy at Spencers? My experience is that they are more expensive for the same product compared to Albertson’s, which is my “general supply” store. I like getting my meat at the Arroyo Grande Meat Co, and LOVE the Scolari’s deli. I havent tried the Cookie Crock bakery but Im not much into bread and pastries. You’re right, they do have the best fried chicken. Most of their deli meat is nitrate free, much healthier option. I don’t like Scolares. On several occasions I’ve bought frozen goods from Scolares that had thawed and then been re-frozen from the store. The service isn’t that great IMO. Spencers is a little more expensive than Albertons but so is Scolares, what can one expect when shopping from a mega store such as Albertsons, of course they can purchase goods at a lower price than a home town market or smaller chain such as Scolares..
Other than Vons, I shop at all the markets including Costco. They all have something to offer that the others don’t. It’s just bad business to put a market so close to other markets, regardless of what kind of market it is. If opening a grocery stores close to other grocery stores is bad for business, then why does spencers, at least in north county open so close to pre-existing grocery stores? Feels like there is a double standard. From a phlisophical standpoint, Im having a harder and harder time reconciling one business opposing another business, to keep from having to compete. Feels rather whimpy to me. Feels un-American. I havent had your experience at Scolaris. I have only had excellent service and good value. I dont get the value added at Spencers for paying a Trader Joes price for a Von’s or Albertson product. Spencer’s=expensive. I agree, Spencers over all is more expensive. 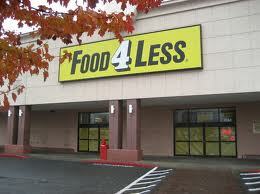 I go there because I like the deli and they have a few local and specialty items that the other stores don’t have. I appreciate when a businesses such as Spencers and even Costco sell local items. I’m not opposed to F4L because I’m concerned about John Spencer, although I do like him and his family and feel that they are good for the community. But even if there were a Scolaris there I would be against the F4L. What ever market happens to be in that strip mall won’t make it against F4L, therefore there would a big empty store front there and that would absolutely have a negative impact on that neighborhood. Plus there are two signals that are too close to the new market and it would cause a lot of traffic issues. John Spencer will do fine even he closes that market but the other businesses in the strip mall won’t. Unfortunate for the budget constrained. Anyone know what really drove the decision? Time to ask some folks some difficult questions? Folks, wake up. Money dictates what is done. The question is, how is not placing the F4L making the people who made the call money? 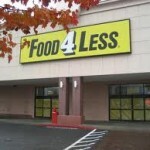 I’m pretty sure Food 4 Less checkers are union. Yes, they are. They have a different classification ( slightly different pay scale and benefits) but they are in the same union. What an idiotic comment; I understand that there are some people who believe that unions are the devil incarnate, but jeez, give it a rest. The city council is who voted and they followed the recommendation of the unanimous vote of the planning department. Traffic issues, parking, appearance and neighborhood impact were all part of the decision, not just the possible impact on the other grocery stores in the area. Stop looking for boogymen in union clothing, perhaps the simplest explanation is true, the city council did what they truly thought was the best thing for the citizens, not the developers. Geez, what was I thinking…. Of course there is no foul play in the call. Our politicians are much different than all the others. Sorry to those I may have upset. I don’t want to pee on your parade. Why yes…our politicians are much different than others. Their far more corrupt and smug about it, particulary the piece of work running Mayberry Grande. Good job AG! Too many markets would be poor planning. Now CCN, how about tackling the mess that the city of Pismo is pushing. I’m referring to the 500 to 700 residences, two hotels and golf course that the city is attempting to quietly push through off of Price Cyn road. The city is already dishing out money to support this,,our money. This is a perfect story for a good investigative reporter. I understant that this is OT but it’s more interesting than this F4L issue IMO. That project has been going on for years and is no secret. Additionally, we need areas for expansion of residential, our green belt has almost eliminated all necessary growth. Zero home growth = higher priced homes = less families = bye bye jobs = Napa.